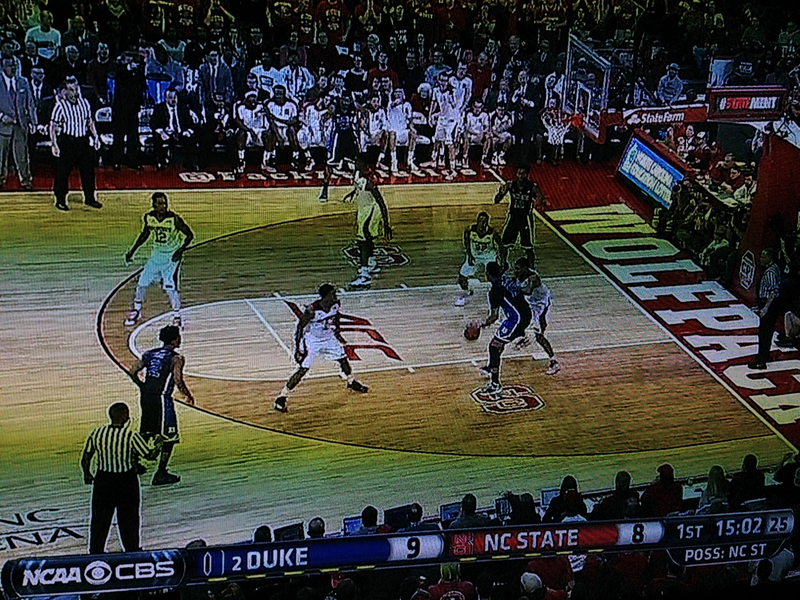 * Next, Okafor makes himself available with strong post position and a target hand for his teammate to throw to. 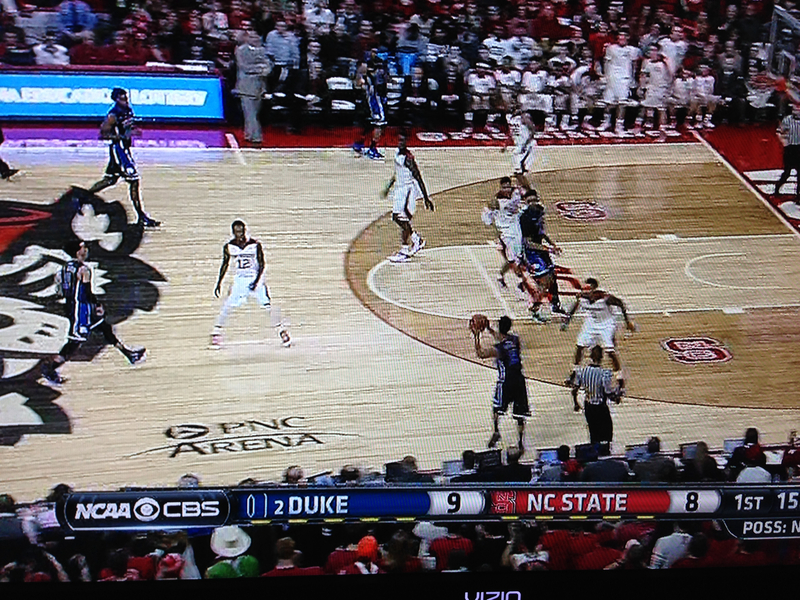 He catches the ball a bit further outside the paint than what is ideal, but that’s okay. He’s skilled enough to do his thing from 15 feet out. 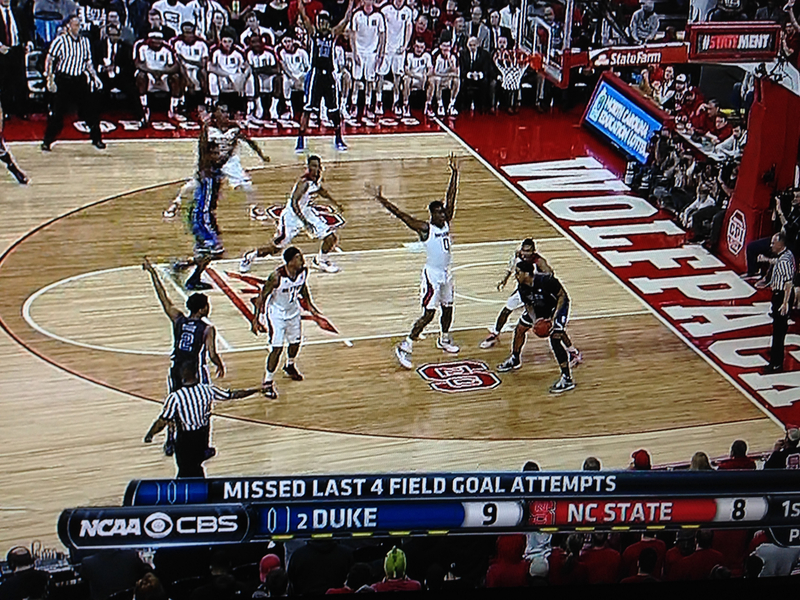 Here’s perhaps the best picture to show why Okafor will be the Number 1 pick in the draft. 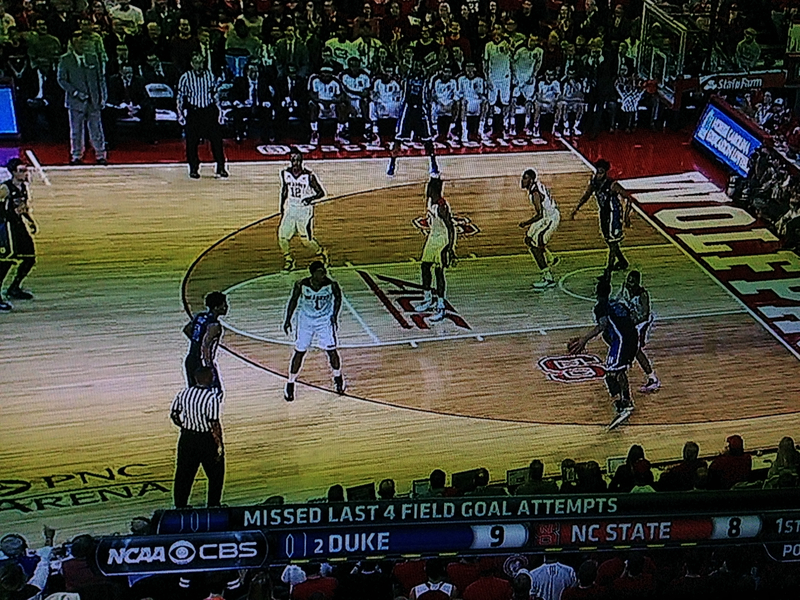 He’s a solid six feet outside the paint and is still drawing a full double team. He also has the attention of the strong side wing defender and the two weakside defenders, who are caught in limbo; 2 of them trying to cover 3 opponents. 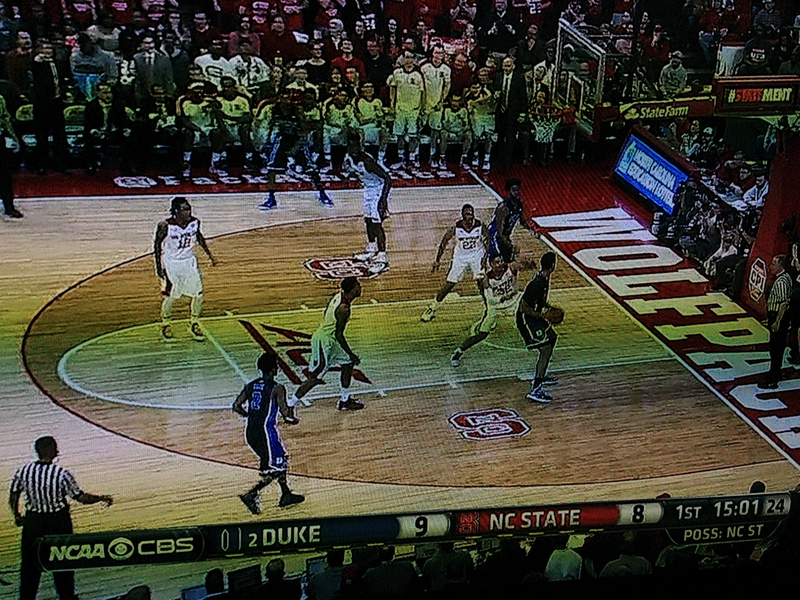 The NBA, despite the modern changes to zone restrictions, is friendlier to double-team magnets than college is. 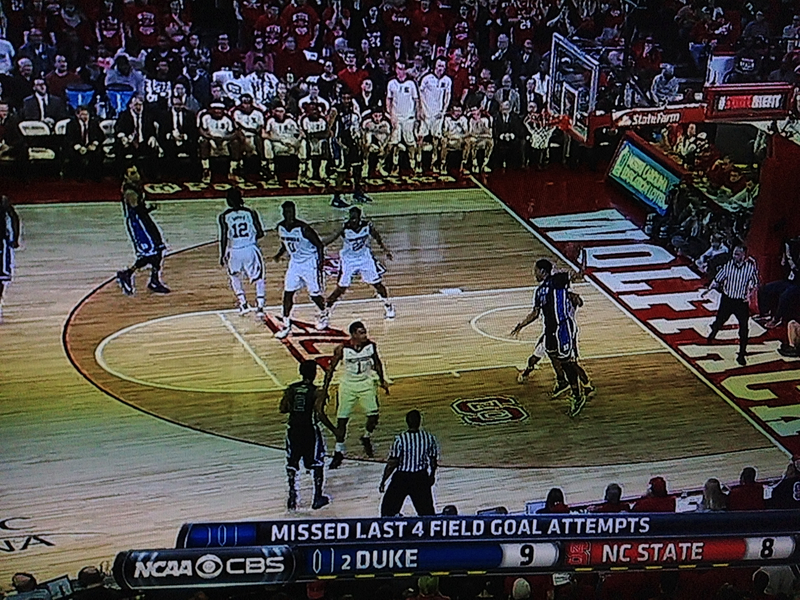 Okafor, drawing attention like this, will be a foundational offensive player. Recognizing the double team and the potential assist options across the court, Okafor takes a separation dribble to assess the floor. The help defender then retreats. With only one defender on him, Okafor simply went right back to work on the block, backing down his man into scoring position. 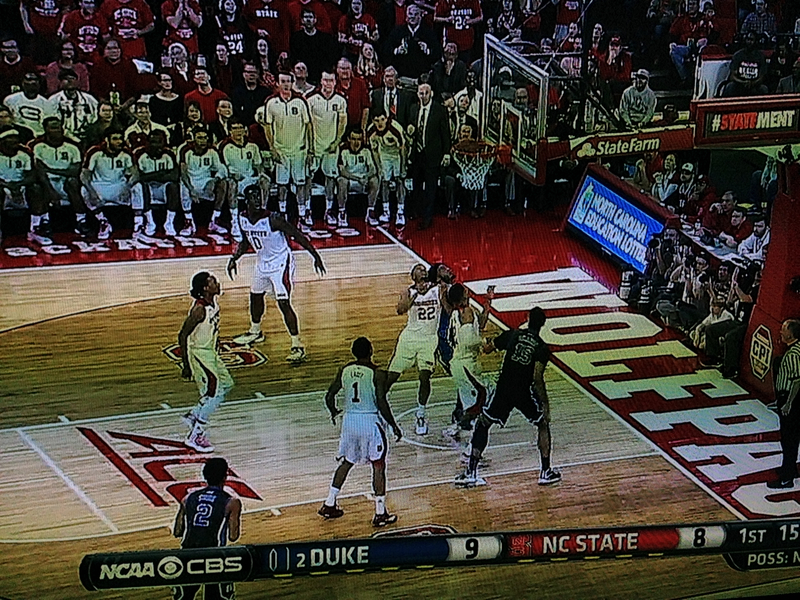 Okafor pivots toward the baseline, away from the help defense to set up an easy baby hook. He kisses it off the glass for two points. That was just one play, but it illustrates the main reasons why Jahlil Okafor is an unusual prospect, and has the look of a franchise post player destined for All-Star and All-NBA teams: size, strength, understanding of position and court awareness, and low-post scoring skills. Certainly has the physical tools – college numbers look good – and it fills a need with PEK’s health a continuing issue. Would also allow Dieng to play as a C/PF perhaps his true position, as his mid-range bank shoot is developing, and he shows some ability to drive the lane. Don’t follow NCAA basketball enough to have strong draft selection opinions about specific players, but I do think this addresses our biggest need. PG with Ricky health isn’t as critical, but if Williams isn’t retained, a veteran PG once again with the ability to play 20 minutes if needed is a must.